"The Lid": MUST SEE MOVIE: 'Ride The Thunder" Expands To Five Markets Today! 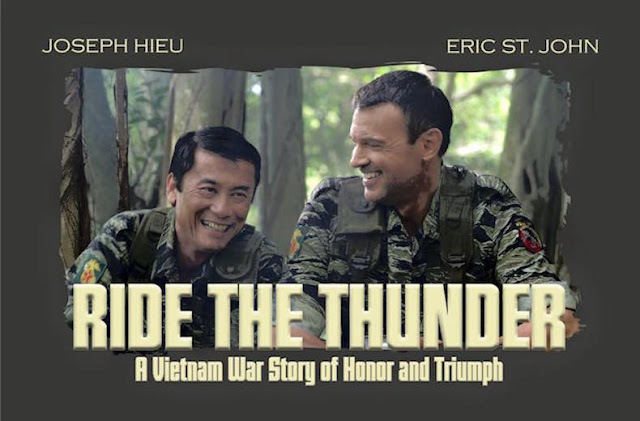 MUST SEE MOVIE: 'Ride The Thunder" Expands To Five Markets Today! Last week the movie premiered in two markets, Oceanside and San Jose, California. Today three more markets are added, Houston and San Antonio, Texas as well as Tempe Arizona. So come on folks in the markets below...time for a night out and learn the truth about the Vietnam War you were never told about. Below is a list of the five theaters and their locations. Just click on the name of the movie theater and you will be taken to a site where you can purchase tickets!! !